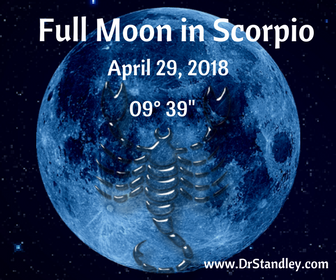 The Full Moon in Scorpio until Tuesday, May 1, 2018 at 11:19 AM EDT when the Moon moves into Sagittarius. Today there are four (4) aspects to the Full Moon in Scorpio, which are all pretty much positive aspects. If you notice at the bottom of this Daily Horoscope page, all four (4) aspects are listed with their times at 8:31 AM, 3:11 PM, 6:43 PM and 10:56 PM all in EDT. All of these aspects will overlap each other except for the first aspect overlapping with the last aspect. The first aspect at 8:31 AM EDT is the Moon trine Neptune, which is intensely interested in the psychology of the mind. Everyone wants to know what each other is thinking and just how crazy we all just might be. Neptune is the natural ruler of the psychological being and mental health. There are probably few college students who were not first interested in psychology is a major. It's one of the most majored majors with no job security unless there is another degree or an advanced degree coupled with it, such as a Masters Degree or Ph.D. It is also a very popular 'minor' to go with any major. It is so important to understand one's mind, that every college student has to have Psychology 101 checked off the list of classes. It is THE MOST basic college course that everyone finds interesting. My point . . everyone LOVES psychology today and this aspect will have you interested in the workings of the mind and why we do what we do. What motivates us? The second aspect at 3:11 PM EDT is the Moon conjunct Jupiter which pulls at our emotional heart strings. There is a feeling of wanting to do Good in the world and spreading the Love. Be cautious and aware my little mentators, you could be giving too much or throwing money at a problem and not doing the Good that you intended. Over-benevolence would be easy during this aspect. Self-indulgence is also likely during this aspect. This can show up as over-spending, gluttony, over-drinking, etc. Since Neptune is involved in the first aspect, there could be water retention and bloating as well today. The third aspect at 6:43 PM EDT is the Moon sextile Pluto, which occurs is 'emotional power' which can be used to mold your life in the manner you choose. Remember, wherever Pluto is present that means power. Think of this aspect as Dorothy from 'The Wizard of Oz' who had the power all along. All she had to do was click her heels three times and BOOM her wish would have been manifested in reality. Her emotional tie to her home was her power. This aspect is all about your emotions and how they give you power. The enlightened individual with this power has the ability to seek understanding of their nature and accept it, embrace it and change it, if change is in order. The last aspect to occur at 10:56 PM EDT is the Moon sextile Mars, which is pretty much the same as the Moon sextile Pluto and 'emotional power' but just at a lower octave. That is because Pluto is the higher octave of Mars. This aspect will give you the emotional force you need to carry out your wishes. 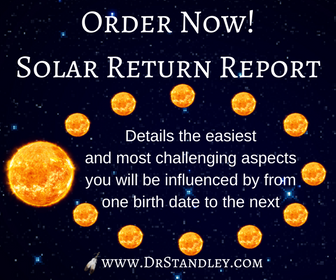 This aspect works very well with the other and they are overlapping each other since all lunar aspects have a 12 to 14 hour 'orb of influence'. The energy behind this placement is infectious, contagious and personable. There is eagerness and excitement, along with impulsiveness that accompanies this energy. There is respect that accompanies this aspect. Use these energies wisely. 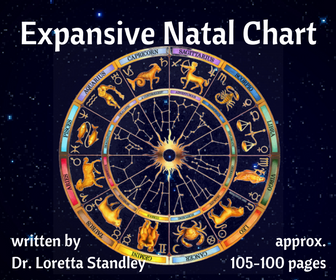 Download the 'Moon Trine Neptune' chart wheel here! The Moon in Scorpio trine Neptune in Pisces at exactly 8:31 AM EDT. You will feel this energy within 12-14 hours 'before and after' it occurs. The Moon in Scorpio conjunct Jupiter in Scorpio at exactly 3:11 PM EDT. You will feel this energy within 12-14 hours 'before and after' it occurs. The Moon in Scorpio sextile Pluto in Capricorn at exactly 6:43 PM EDT. You will feel this energy within 12-14 hours 'before and after' it occurs. The Moon in Scorpio sextile Mars in Capricorn at exactly 10:56 PM EDT. You will feel this energy within 12-14 hours 'before and after' it occurs.